As the northern New Jersey weather turns warmer and area homeowners make their summer plans, many are opting to stay at home to enjoy their time off - a trend that has helped coin the phrase "staycation." Adding to this local vacation flavor, one recent poll found that two-thirds of homeowners say they would rather have a barbecue or cookout at home than eat at a restaurant. 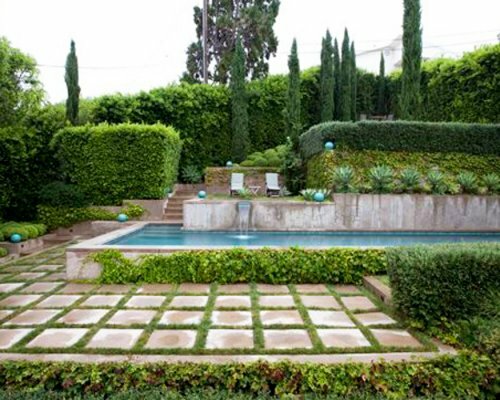 Taking advantage of both of these trends as people search for a relaxing place to escape to this summer is the ability to create an Oasis in their own backyards. Whether they are seeking solace from the maddening crowd or just want to enjoy relaxing with family and friends, there is potential located just beyond patio doors to transform any Outdoor space into a personal retreat. The solution is what the industry is calling "Patioscaping," which is essentially the art of transforming a simple backyard into an elegant Outdoor Oasis. Patioscaping offers the advantage of Creating a beautiful Outdoor patio space without having to make a significant investment in remodeling. As homeowners consider investing in an Outdoor living space, here are some tips that will make a big difference in the look and functionality of a property: * Know a home's style. It's important to have an understanding of a home's architectural style when Creating an Outdoor room, so that the Outdoor patio space complements the indoor living space. Whatever theme is carried Outdoors, it should reflect the home's style, whether it's a Victorian, a Craftsman or a ranch-style home. * Determine the use of the space. Once the general architectural style of a home and, by extension, a patioscape, is determined it's then time to think about the activities that will take place there. If the family likes to entertain, consider planning a food preparation area or built-in counter to serve as a buffet or serving space. If the homeowner wants to lounge and read in blissful silence, include a hammock, chaise lounges or wooden benches with pillows covered in durable Outdoor fabrics. Make a sketch using scale-model drawings of furniture that would look good and fit this purpose. * Set the stage with the right door. The entry to an Outdoor patio space creates the impression of what's to follow on the other side. And because summertime barbecues, pool parties and picnics funnel traffic through a home's patio door, make it a pleasant experience - avoid irritating traffic jams, frayed screens and cloudy glass by installing doors that can stand up to the high traffic and look good over time. For example, patio doors made with fiberglass offer an ideal blend of beauty and durability and they come in a variety of styles. Fiberglass patio doors are Designed as a complete system with components that work together to form the tightest seal possible, Creating an energy-efficient envelope. * Make a green space even greener. While shrubs and trees can add important texture to green space, homeowners don't need to completely re-Landscape their yards. Colorful flowering plants around a patio's perimeter can create a dramatic effect and serve as a visual boundary from the rest of the yard, Creating an intimate space that evokes an actual room. * Let there be light. Another inexpensive way to add atmosphere to an Outdoor patio space is to install accent lighting. String lights in festive colors and shapes; add drama by lighting a pathway to the garden, pool or pond; accent trees with lights at ground level or in the branches. There is nothing more beautiful than candlelight Outdoors - just be sure to use sturdy candle holders that won't tip over. Plus, a well-thought-out exterior lighting Design delivers 360-degree home security for your exterior. * Allow for family fun. Many families use the patio as a playground equipped with toys, swings, basketball hoops and wading pools. Add a clean storage area to protect bikes and toys when not in use, as well as indoor/Outdoor floor coverings to protect children from scrapes and bruises. By following these patio planning basics in Creating the perfect Outdoor patio space, any backyard will be transformed into a private Oasis that families will enjoy all summer and for many years to come.